Woodland winters are no problem for this cozy little owl. Digital art print from an original watercolor and ink illustration. 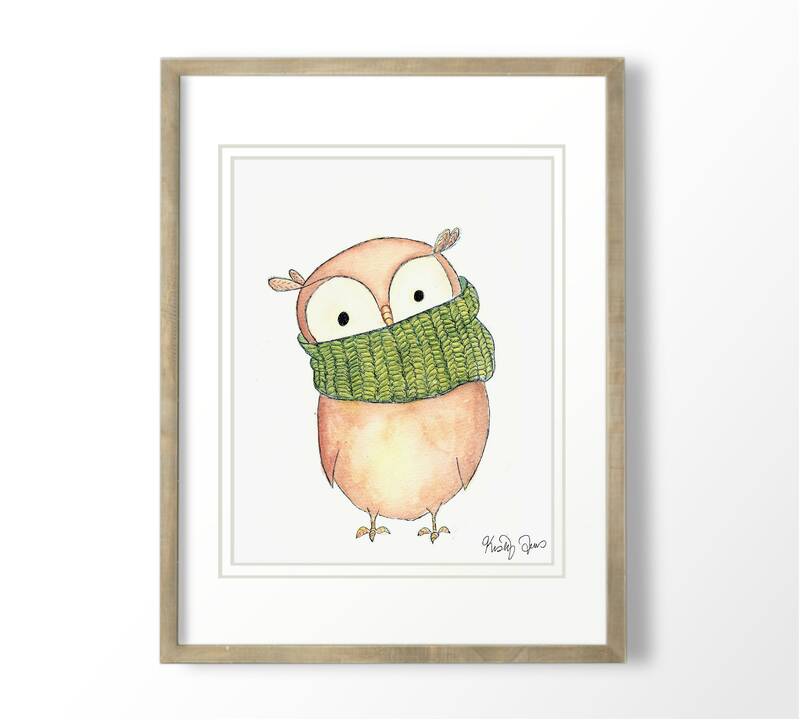 Creamy brown owl in a an olive green knit cowl. ACEO 2.5 inches (abo) X 3.5 inches (abo) Great for collecting or gifting! Colors may vary slightly from painting depending on your screen. Printed by me using high quality inks on professional paper that is heavy-weight, textured, archival, and acid free. Each print is signed on the front.